Carolina Rocha, PhD, professor in the Department of Foreign Languages and Literature, made Olivares aware of the scholarship opportunity. She and Brian Hinterscher, director of undergraduate advising staff in the College of Arts and Sciences, both recommended Olivares to the ILLCF as deserving of the scholarship. 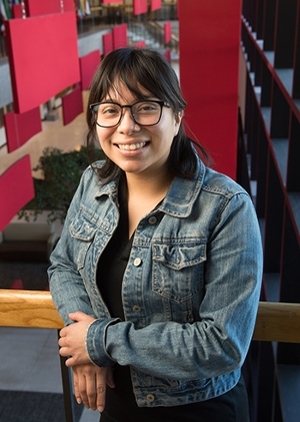 “ILLCF scholarships are crucial for first-generation Latino college students, not only for the financial award, but also because it shows the support of a community toward hard-working students,” Rocha added. Olivares will be honored at the ILLCF Scholarship Presentation and Reception on Thursday, Jan. 25 in Chicago. Photo: SIUE’s Stephanie Olivares, a native of Highland, has earned a $2,000 scholarship from the Illinois Legislative Latino Caucus Foundation.